The International Olympic Committee, which has not been getting any good news lately from cities who want the group’s product, the Olympics, may have a real live bidder for the 2026 Winter Olympics. Innsbruck, Austria. The IOC has had problems finding cities and countries who want to put up money for the Games. Just Paris and Los Angeles want the 2024 Summer Olympics. Switzerland, which is the home of the International Olympic Committee, could not get support for a 2022 Davos Winter Games and in February, voters around the St. Moritz area turned down an opportunity to fund a 2026 St. Moritz Games. 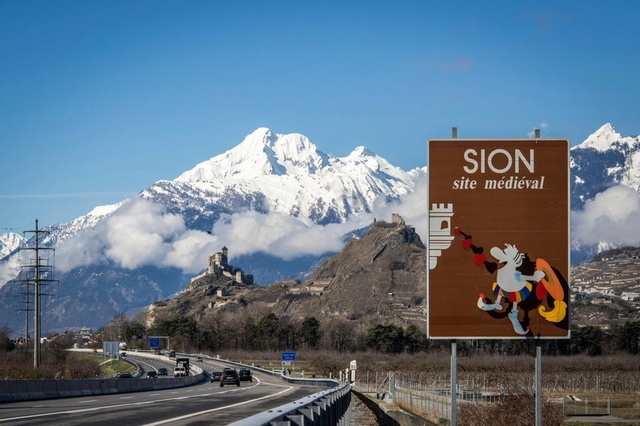 But the Swiss have settled on Sion as the country’s candidate for the Games. There is a long way to go before Sion can be presented as a candidate. The Swiss Parliament of Sport’s General Assembly has said yes but it is quite possible that voters in the Sion area could decide the fate of that bid in 2018. Sion has failed in three previous attempts to land the Games. The Swiss city lost to Denver for the 1976 Games but Colorado voters said no, due to costs, and Denver was replaced by Innsbruck. Turkey could make a pitch for the 2026 Games along with Canada as there are a number of people in Calgary who may support a bid. But before that, Calgary Flames owners want the city to put up hundreds of millions of dollars for a new arena. Calgary has had financial problems as the Canadian loonie has dropped to around 76 cents US and Calgary is an oil city and the price of oil has fallen. The city is in a recession but Olympics backers contend 40,000 jobs would be created if Calgary won the bid. The Calgary Olympics cost would be more than five billion loonies. Sticker shock is chasing cities away.